Available for Rent, Price determined by terms. 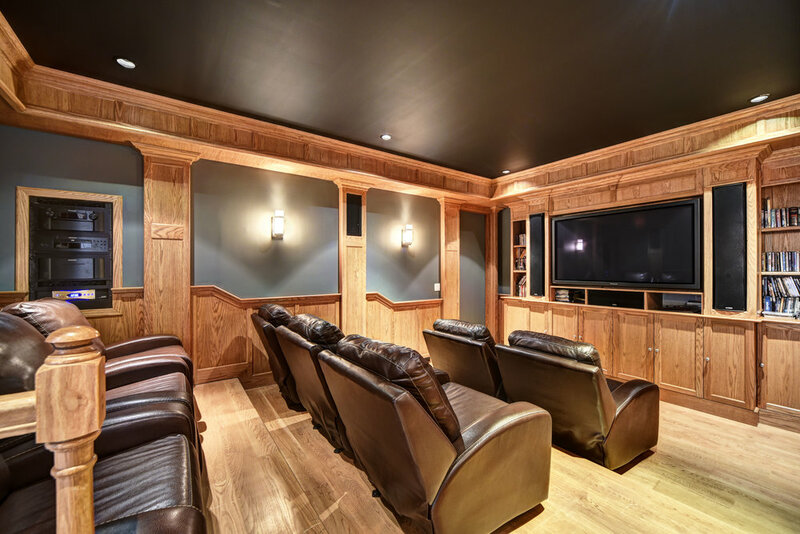 THIS APPROXIMATELY 9,230 square foot home located on 1.7 acres was renovated and modernized in 2010. 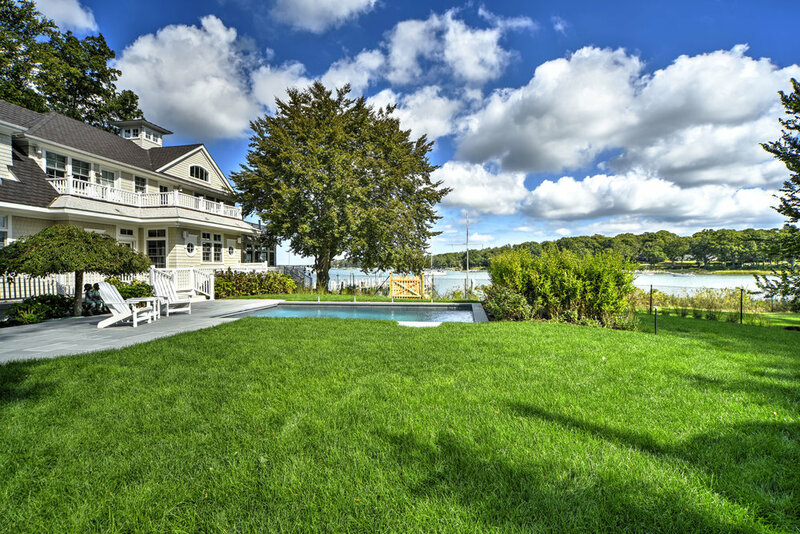 Originally built in 1888, it was once a carriage house of an old grand hotel in the Village of Dering Harbor. It was later moved to its present location at 29 Winthrop Road. 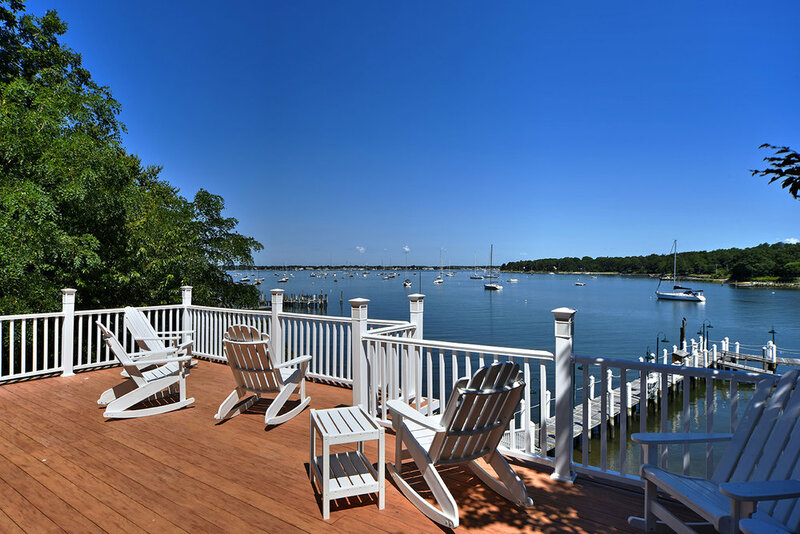 WITH SCENIC VIEWS of Dering Harbor, this on-the-shoreline location has 600 feet of private beach, a deeded mooring and a a 168 ft. deep water dock that can accommodate a 40-foot boat. 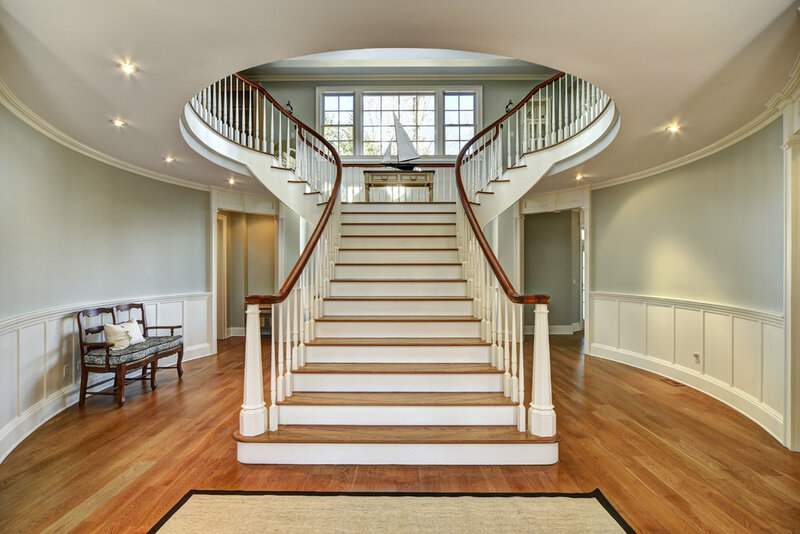 THE FIRST FLOOR features a grand entry with a double staircase, hand crafted banisters and a windowed cupola above. 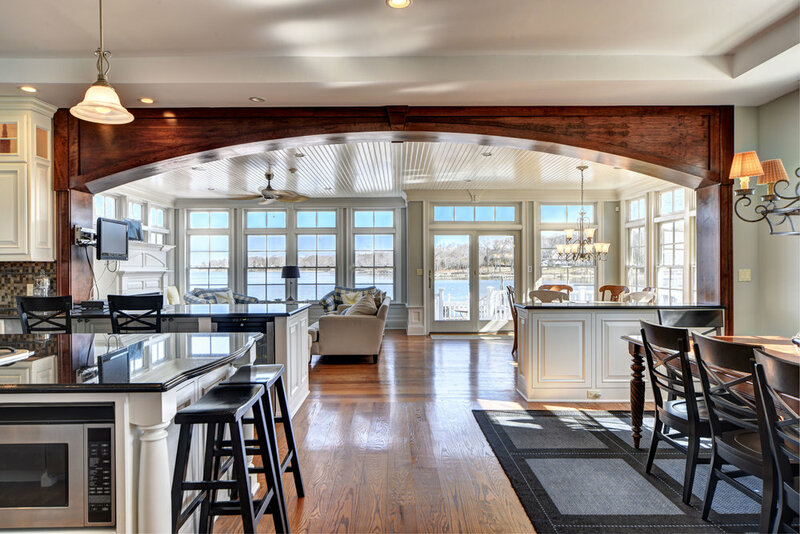 It has two en-suite bedrooms with decks, home theater, spacious living room, water view bar, an expansive chef’s kitchen, dining area, sitting room and a four-car heated garage. SOARING CEILINGS and a wall of glass capitalize on the rich natural light. 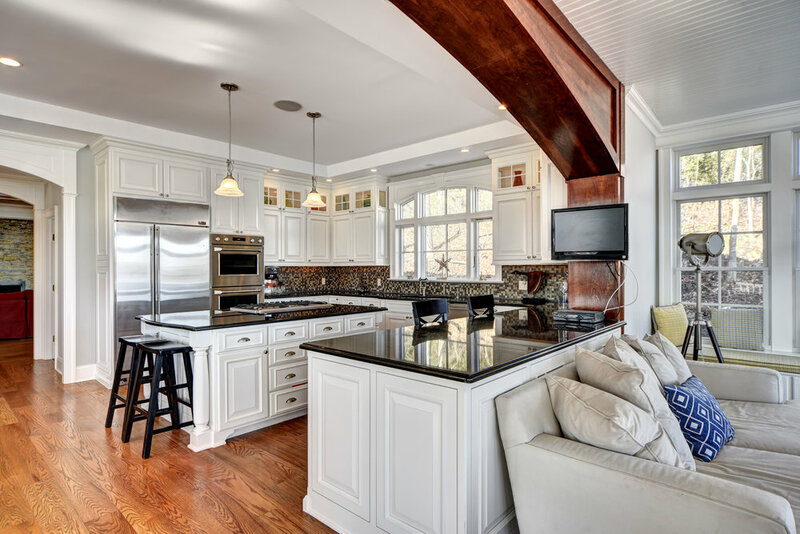 The convenience of a full kitchenette, powder room and office make this the perfect place for everyone to regroup after a day on the island, play pool, relax by the fireplace or sit on the private deck and be inspired by the spectacular views of Dering Harbor. 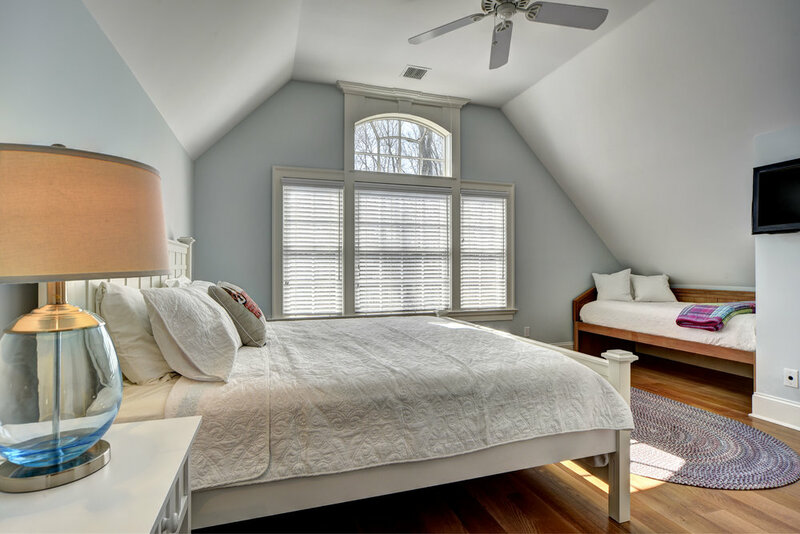 THE SECOND FLOOR has a master bedroom with a full bath, vaulted ceilings and a deck. 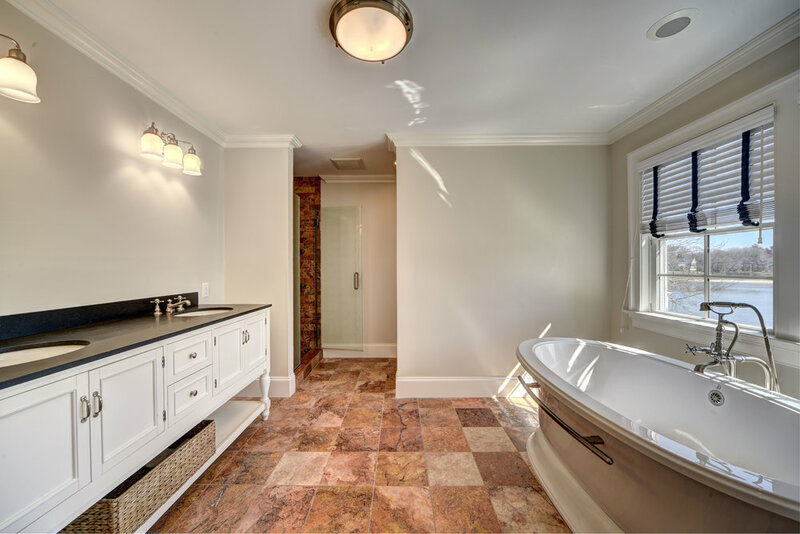 There are also three additional en-suite bedrooms, laundry room, a dramatic entertainment room with a kitchenette, cathedral ceilings and a gorgeous deck that has incredible water views. THE LOWER LEVEL features a 720+ bottle wine cellar offering the convenience to those fond of entertaining to pair wines for their guests. 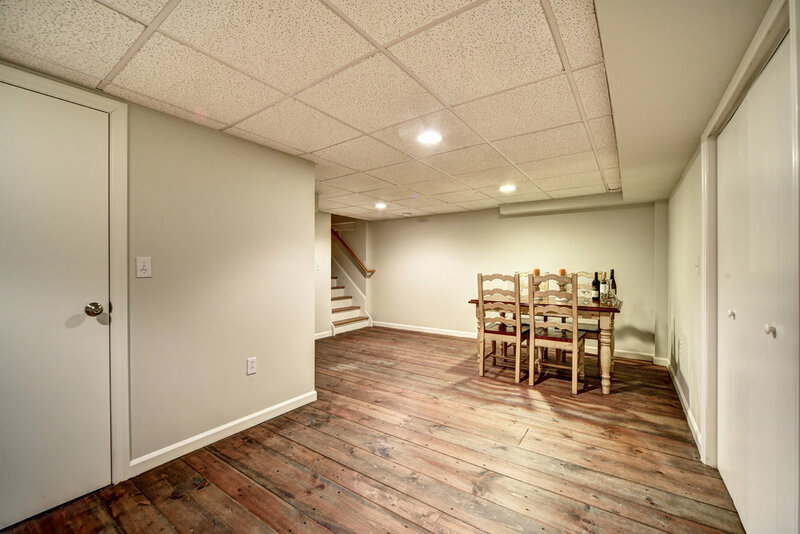 Accessible through the basement or trap door above, this wine cellar allows the enthusiast, collector or Sommelier to store, age and easily track their inventory. For the wine aficionado, a full-blown wine cellar is a luxury must-have. The lower level also has an additional laundry room and storage. 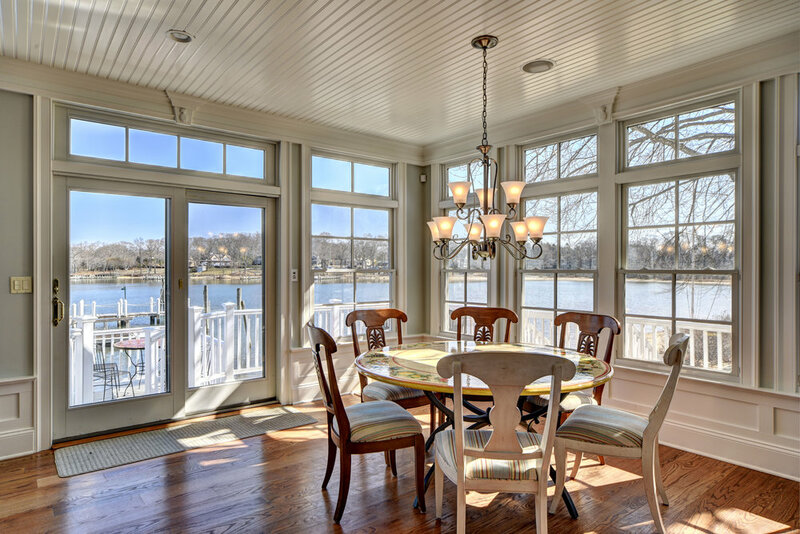 EVERYONE HAS THEIR FAVORITE SPOT to enjoy a glass of wine or a scotch. For some people, that spot is in the comfort of their own home bar. The floors are constructed like a deck of a sailboat with teak and holly wood and a secret hatch entrance leading to the wine cellar; this bar is a central hub for entertainment and brings the atmosphere of a luxury Inn. 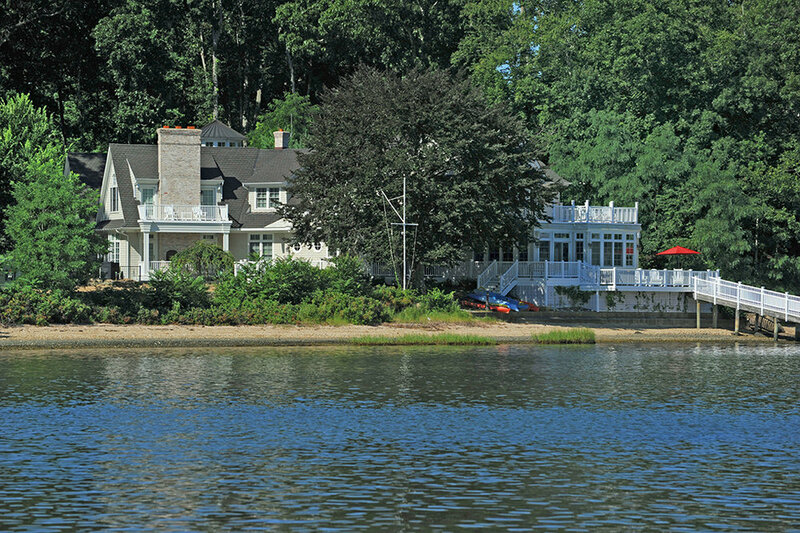 The bar has gorgeous water views, a wrap-around deck, a powder room and large enough to accommodate all your guests. The experience extends through the bar doors to the outdoor brick ovens and pool.